Milana and Gorana have been friends and collaborators for over two decades. 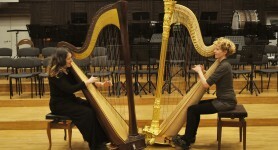 Both hold positions as principal harpists with Serbia’s leading orchestras – Belgrade Philharmonic and National Opera Orchestra. 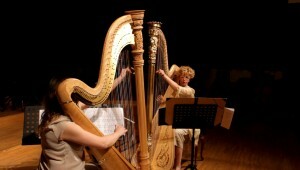 Both are active soloists and chamber musicians in Serbia and abroad. 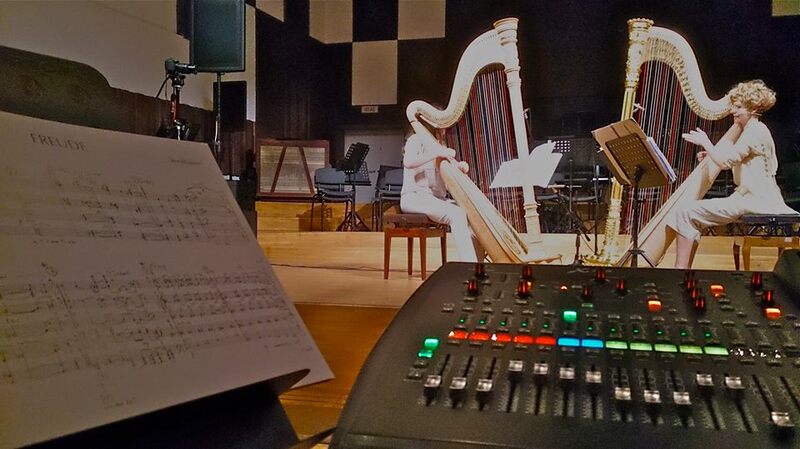 Serbian premiere of Stockhausen’s seminal work Freude, with Milana and Gorana singing and performing on harps, was given on 22nd April 2015, at the Belgrade Philharmonic Hall. Sound projection and mixing – Richard Barrett. Sound production and video recording – Ivan Brusić, Petar Bačić and students from VISER school in Belgrade, as well as Marija Rodić.